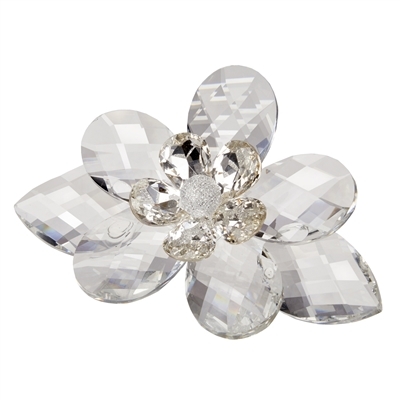 5th Avenue Collection authentic Italian Crystal louts with Swarovski flower center is crafted in fine crystal to bring dramatic styling to any home. Creates a stunning visual effect of light that shimmers across the room . Italian crafted in fine 24% crystal to bring dramatic styling to any home. This lotus flower figurine gleams in clear crystal with a centerpiece. Best for Home Decor, Table Setting and Gift for Someone.